I don't think I've seen this before. It's beautiful and colourful. I know we have seen this record sleeve before Vrinda but it is one of our favourites. 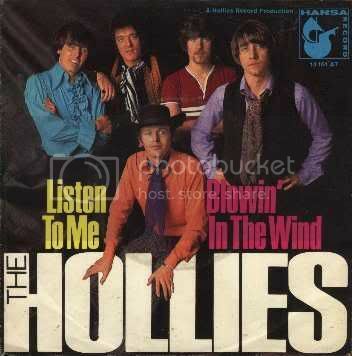 Great cover for Listen To Me and Blowin In The Wind-All the boys look so attractive !!!! It certainly is one of mine, and worth a second, third, and one thousanth look!